If you're looking for a solution to avoid sore thumbs, then upgrade to using Butler Creeks Magazine loader in combination with their Hot Lips or Steel Lips magazines designed for your 10/22. This is a fast, simple way to load your magazines. 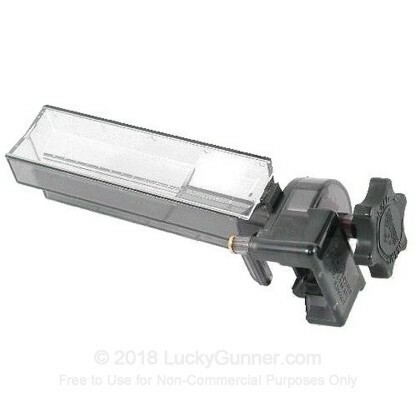 Simply pour 50 shells into the hopper, insert the magazine, and proceed to crank the loader until the magazine is full. 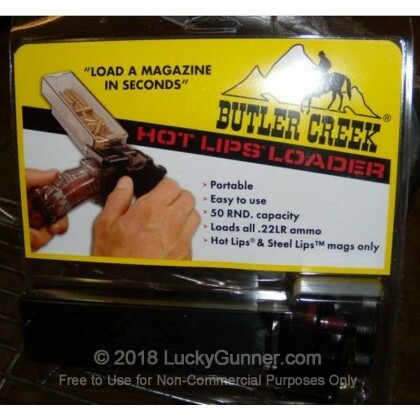 Note: This magazine loader only works with Hot Lips and Steel Lips magazines which are sold separately.